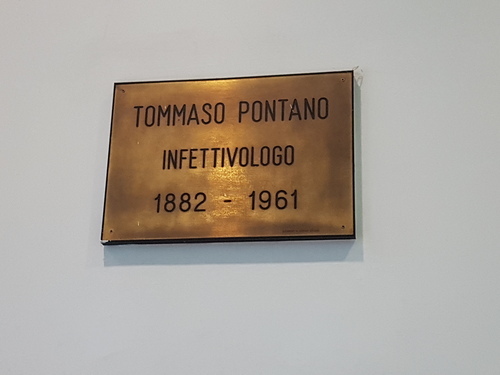 In the Istituto Nazionale Malattie Infettive - Ospedale Spallanzani, in Rome, there is a memorial tablet dedicated to one of the first infectivologist, who worked there: Tommaso Pontano. 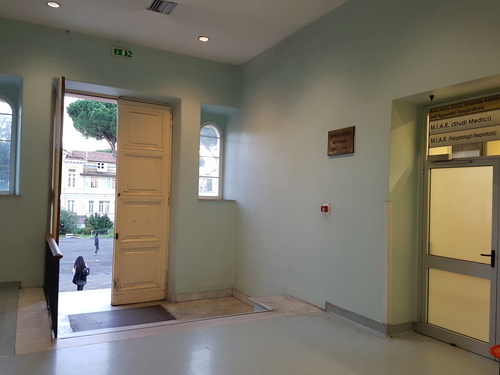 Furthermore, a pavillion of the same hopital is known as "Padiglione Pontano". The tablet can be found near the entrance of the hospital. The tablet shows on a gold background the name and the dates of birth and death of the infectivologist. - Massimo Viviani, Il nostro Spallanzani, Roma 2007.